Becky Thompson has been an inspiration to many. She is an award-winning writer, professor, yoga instructor, and activist. She has spent the last twenty years traveling across the world researching, teaching, and writing on issues of social and racial inequality. An academic by training, she has written on a wide variety of topics that include eating disorders, HIV/AIDS, parenting a multi-ethnic family, and global activism. Her books are infused with creativity, scholarly rigor and meaningful engagement. They are magic carpet rides for the mind, body and spirit. She has also been a pedagogical pioneer in investigating and incorporating a wide range of contemplative practices in the classroom (including yoga, mindfulness, walking meditation, etc.). She uses the power of these practices to create a collective, intelligent and vulnerable space for students and teachers to engage deeply with difficult topics. I count myself fortunate that I attended one of her contemplative pedagogy workshops, many years ago, while she was a visiting professor at Duke University. That made a deep impact on me though it would be years before I would muster up the courage to incorporate what I learned from Becky into my own teaching practice. More recently, we’ve realized that we have overlapping interests in many areas, including yoga and social justice. So, when I discovered that Becky has a new book that brings together narratives of social justice, yoga, trauma and healing, I couldn’t wait to find out more. 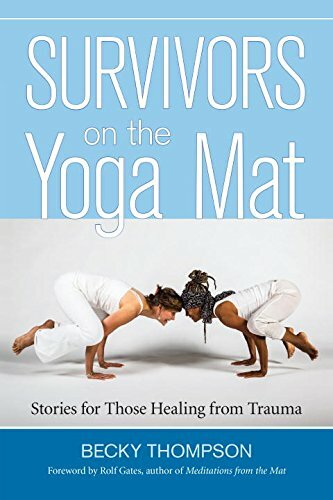 Her latest book is Survivors on the Yoga Mat: Stories for those Healing from Trauma (North Atlantic Books), and it promises to be groundbreaking. Thompson’s other books include Zero is the Whole I Fall into at Night (Main Street Rag Publishing Company, 2011); When the Center is on Fire (co-authored with Diane Harriford, University of Texas Press, 2008); Fingernails Across the Chalkboard: Poetry and Prose on HIV/AIDS From the Black Disapora (co-edited with Randall Horton and Michael Hunter, Third World Press, 2007); A Promise and A Way of Life (University of Minnesota Press, 2001); and Mothering without a Compass (University of Minnesota Press, 2000). Thompson’s work has also been featured in multiple journals such as Harvard Review, Feminist Studies, Gender & Society, Warpland: A Journal of Black Literature and Ideas, Amandla, Illuminations, and Margie. Currently, Becky is Chair and Professor of Sociology at Simmons College in Boston, MA. Becky sees her yoga practice as the foundation upon which her writing, teaching, poetry, and activism can flourish. It’s is my distinct pleasure to welcome Becky Thompson to ‘The Practice of Creativity’. –Tell us about your new book Survivors on the Yoga Mat: Stories for Those Healing from Trauma. What sparked your interest in writing this book? My initial motivation came from an early teacher training I was participating in where I realized that many of the participants were whispering—in the halls, after sessions—about the depressions, loss, sexual abuse, and accidents they had experienced. But they did not feel okay about “coming out” about these traumas. It was as if yoga was in one corner and trauma was in another with no meeting place in between. During that training, I also dissociated on my yoga mat one Sunday morning which surprised me and led me to co-lead a workshop on trauma for the other yogis. That initial push was coupled by the inspiration I was getting from people who started to talk with me about their own stories of using yoga to help heal from racism, sexual abuse, incarceration, accidents, addictions, illnesses, great loss, war, etc. While I can point to a moment when I officially started writing Survivors, in many ways I have been working my way up to this book for years. In some ways, Survivors is an answer to my first book, A Hunger So Wide and So Deep since Survivors offers stories of people living in the land of healthy solutions, who are finding embodiment that trauma had formerly stolen. The book follows A Promise and a Way of Life since it seeks to offer examples of antiracist activism currently taking place in yoga communities. Although I didn’t know this consciously when I started Survivors, I now know that I needed the last twenty years of writing, living, healing, and activism to get prepared for Survivors. For example, this book is a lot about the process of manufacturing joy. I didn’t know I even needed more joy ten or twenty years ago. And I never would have been able to put so much of my own story of trauma into a book before. That took some real coaxing and guidance this time around. Survivors is an intellectual book in that I incorporate trauma theory, neuroscience and yoga philosophy. And it is an experiential book in that it starts and ends with the body—its pleasures and pain. Two decades ago, I wouldn’t have had the confidence or the community ties I needed to reach out to and find Joanne Wyckoff, who became my agent. And I wouldn’t have had the guts to include a bunch of photos of “unconventional” collective poses (that we have created together in my years of teaching yoga in an eclectic range of communities) in the book’s glossary. I can’t wait to hear what readers think and feel about all of this. -In the book, you explore the unique strengths and needs of trauma survivors. Can you tell us a bit about what you’ve discovered while working with trauma survivors? One key lesson for me was learning that trauma survivors are special—subversive angels on the road to healing. There is a tendency when we hear the word “trauma” to back away. To pass the tissues. The word sounds heavy, intense. In fact, many trauma survivors have special characteristics. We tend to be highly intuitive and ingenious—we have had to be to survive. Trauma survivors tend to throw their weight behind the underdog, are willing to question authority, and take risks. Trauma survivors often come early to yoga classes and stay late. They know that their lives depends upon healing. We are the ones with the wiggles, who cry during savasana, who get up and try again. -You have been thinking a lot about the connection between yoga and social justice activism. How can they inform each other? Embedded in Patanjali’s Yoga Sutras and the “Native American Code of Ethics” (which are both guides for understanding yoga philosophy) are commitments for healing ourselves and our communities. It turns out that trauma survivors are often at the forefront of liberation struggles. Coming to terms with your life being turned upside down often provides motivation to try to turn the world right side up again. I am thinking for example of Lisa Houston, a Scottish woman whose story is in Survivors, who took her yoga mat with her in her work with refugees at the border of Thailand and Burma. I am thinking about Jarvis Jay Masters, a Buddhist man on death row in California who used his body to interrupt a stabbing in San Quentin. His years sitting on his meditation cushion guided him to do this. Survivors is full of stories by people who see activism as key to being human. The well-known Buddhist Silva Boorstein has said that the longer she has practiced yoga and meditation, the more zealous she has become about social activism. This is a very good sign for yoga communities since practicing yoga certainly does not exempt us from enabling racism, sexism and elitism in our midst. We can’t just “om” ourselves into multiracial, global communities. Long-term yoga can help us listen more deeply and undo inequalities. -You’ve written many different kinds of books (i.e. scholarly, creative, etc. ), and across many types of genres (e.g. poetry, essay, narrative). Who inspires you? Who are some of the writers that you continually mine for technique, style, or phrasing? Joy Harjo remains one of the writers/activists/musicians whose work keeps me up at night. Her book, A Map to the Next World, has been the one book I have taken with me on my plane flights. Pure magic and talent in that book. Rolf Gates’ book Meditations from the Mat was the model for Survivors and the one I read to my grandmother in the last years of her life. I was thrilled when he consented to write the foreword for Survivors. Stephen Cope’s The Wisdom of Yoga and Matthew Sanford’s Waking are both yoga books I teach in my doctoral education and social theory classes. I like that cross-pollenization. I still think that Edwidge Dandicat’s Breath Eyes Memory is among the finest novels on sexual abuse, colonization and healing. Dandicat also writes outstanding essays. This Bridge Called my Back, edited by Gloria Anzaldúa and Cherrie Moraga gave me (and so many others) the intersectional analysis (attention to race, class, gender, sexuality, language, nation) that forms the theoretical foundation for Survivors (and my other justice books). That book combines many genres—poetry, creative nonfiction, essays. June Jordan, Dorothy Allison, Sonia Sanchez, and Jacqueline Woodson are marvelous models for me. Poetry and literature remain my company when I am lonely, worried, or trying to understand how to respond (or get quiet) in the face of much insanity around us. Music also gives me much guidance: India.Arie, Angelique Kidjo, Sweet Honey, Bobby McFerrin, Snatum Kaur, Patti LaBelle and many others. Music makes so many invisible links that we need to write across genres—the improvisation in fiction, the steadiness of prose, the surprise in poetry. When I was finishing Survivors, the editor advised that I not include a music list in the appendix since people’s taste in music is so variable. But I couldn’t bear leaving out music and so I ended up labeling that section “idiosyncratic music list” and tucked it in after the “suggested further reading” in an appendix. 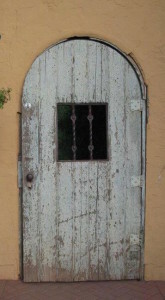 -If you could invite three living yoga teachers to a dinner party that you’re hosting, who would you invite and why? I would love to have Angela Farmer (who teaches in Greece, is 76, and has been guiding us to go inside to find safety for 40 years), Angela Davis (who isn’t officially a yoga teacher but is a yogi), and Nikki Myers (founder of the innovative yoga and recovery model Y12sr) together. I would cook for days—wasabi tofu, grilled asparagus, sweet potatoes, Lundberg rice, homemade hummus, and divine salad. Mango and sticky rice for dessert. I would fantasize about the playlist for the dinner for weeks. Michele and Keval Kaur and Diane Harriford would need to come too. Life is short. I gotta figure out how to make this possible. I am attaching a poem I recently wrote for Sonia Sanchez—long time meditator, poet, and dancer for justice—since the poem resonates with some of the questions you have asked. Thank you Michele, for your generosity and creativity. 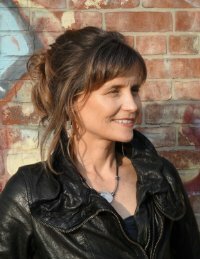 Becky Thompson has received numerous honors and awards for her work, including grants from the NEH, the Rockefeller Foundation, the American Association for University Women, the Ford Foundation, Political Research Associates and the Gustavus Myers Award for Outstanding Books on Human Rights in North America. Becky is a senior level yoga teacher (YRT-500) and teaches yoga at conferences, workshops, in college classes, and community centers internationally and nationally.